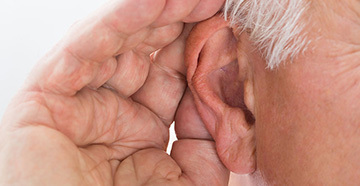 Hearing loss doesn’t only affect the individual experiencing impairment. The social, physical and emotional struggle takes its toll on the whole family. Lack of communication is one of the biggest complaints when a loved one is suffering from a loss of hearing. The spouse or significant other may feel like they are being ignored, and may resent the need to frequently repeat what they have just said. Everyday activities like watching television can become unpleasant when the hearing impaired individual turns the volume too high in order to hear. Resentment can build when social activities are limited, as occurs when a person with hearing loss avoids going out for fear the situation will be too stressful. These factors can put a strain on the relationship and lead to marital tension. If your loved one has not received treatment, encourage him or her to make an appointment with a hearing professional. Offer to attend a hearing exam with your loved one. 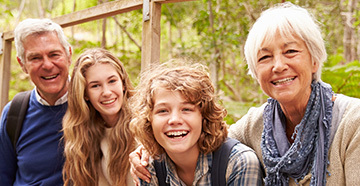 If hearing aids can be used to treat your loved one’s hearing loss, encourage him or her to wear them. Gain your spouse’s attention before speaking. Position yourself in front of your spouse when speaking. Speak clearly; avoid talking loudly or shouting. Avoid eating or smoking when talking. Rephrase your sentence if your loved one has trouble understanding. Encourage lip reading and the use of handwritten notes. Remember, your loved one hasn’t chosen his or her hearing loss, and is every bit as frustrated as you are. Maintaining a positive attitude and following the above tips will go a long way toward helping the hearing impaired individual.